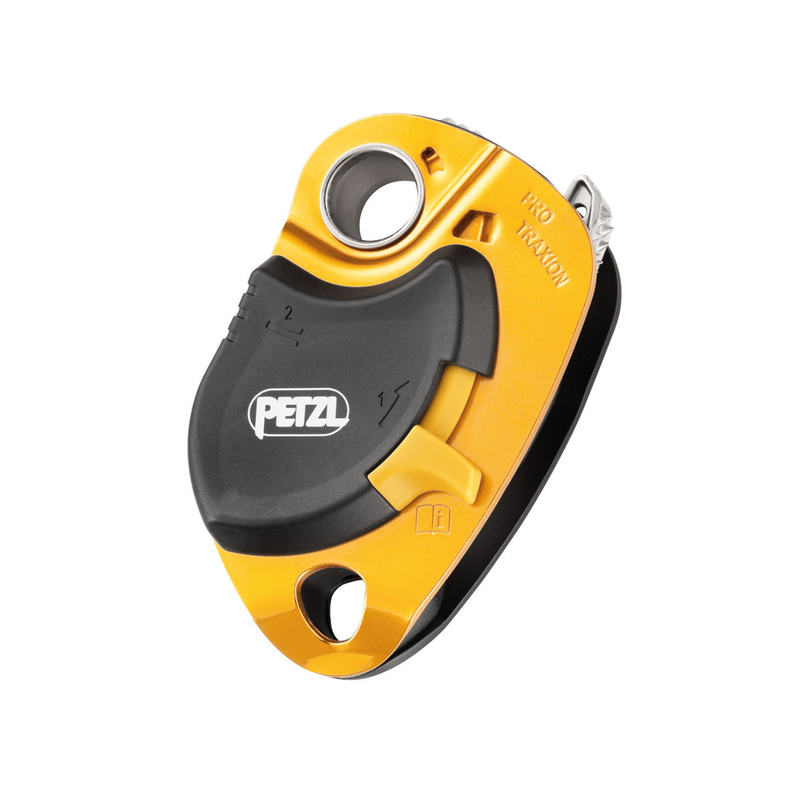 The Pro Traxion from Petzl is a versatile, heavy duty pulley designed to smoothly haul loads for big wall climbing or rescues, which means it's really strong and durable; you can install a rope while the pulley is still connected to the anchor and the side plate locks when loaded, so it won't open while it's in use. It also features a low connection point so you can make different types of hauling systems, and use it as a simple pulley, too. The toothed cam has a self-cleaning slot, which allows for exceptional performance, no matter what the weather conditions are like, or the condition of your rope!